With one of the fastest growing population of internet users, the ASEAN region has seen a boom of e-commerce companies. When it comes to the rise of the internet economy, no other sector has better been able to tap into its latent potential as well as the e-commerce sector. Its rise in many parts of the world in addition to transforming the way traditional brick and mortar retail stores have functioned has also in part created jobs. The rise of giants like Amazon and Alibaba have led to the creation of their own supply chain and in turn created a requirement of qualified professionals across various stages of an e-commerce company’s operations. The success of e-commerce companies at the same time is dependent on their consumers technologically capability and proficiency. This is particularly relevant in the case of Southeast Asian countries. As a region, studies have projected to have one of the fastest growing internet economies around the globe. A study by Google showed that the size of such an Internet-based economy could reach a size of $240 billion by 2025, even exceeding the mark by some estimates. This expansive reach of the internet economy would grow in the region primarily due to two current forces— a part of it powered by the large and engaged internet user base and second due to the rapid rise of affordable smartphones. As the reach of smartphones expands in the region and mobile telecommunication services grow faster and more reliable, the report noted that Southeast Asia would soon become a major online marketplace with a thriving internet economy. To get an idea of such growth, there were more than 350 million internet users across Indonesia, Malaysia, Philippines, Singapore, Thailand, and Vietnam in June of last year. The benefits of such a growing Internet economy help create a necessary ecosystem for startups to leverage consumer preferences and diversify across sectors like online vacation rentals, online food delivery, and subscription music and video on demand. But, and as the same Google report notes, e-commerce companies would play a major role in ensuring the economic potential of such a rise in the use of the internet is realized. The report noted that e-commerce has been the most dynamic sector, exceeding US$23 billion in 2018 and having grown more than four times since 2015. “On the back of the increased consumer trust in e-commerce demonstrated by Southeast Asian internet users, we have revised our projections and now estimate that the e-commerce sector will exceed US$100 billion by 2025” it added. 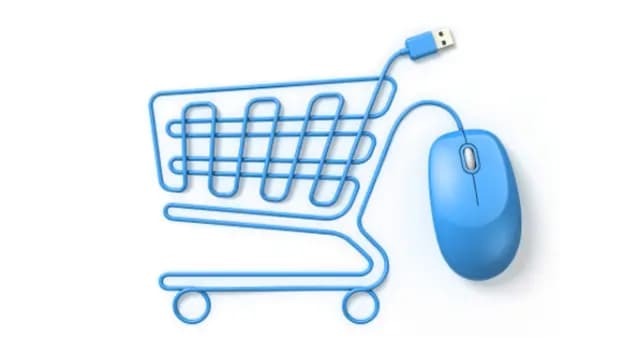 The signs of the rise of the e-commerce sector in the region can already be seen. Reports have shown how Southeast Asian markets are currently witnessing many of their major e-commerce companies grow significantly over the years. And countries like Indonesia and Thailand are at the forefront of such a change. Startups like Indonesia’s Tokopedia, an online marketplace have shown great growth owing to an increase in mobile usage and shift in consumer preference where many have now begun trusting e-commerce sites. At the back of such performance, one that extends geographical boundaries, the startup company, in 2017, received a $1.2 billion investment from Alibaba, the massive online retailer in China. Indonesia has witnessed many such e-commerce startups enter the scene. In addition to Indonesia, e-commerce demand in Malaysia has also been booming. According to Fitch Solutions’ latest e-Commerce Index, Southeast Asia is soon to become an important region when it comes to the growth of the e-commerce sector. And among the many countries that are vying off a big chunk of the cake (in terms of market share), the report elucidates Malaysia as the strongest growth potential in the region. Driven primarily by the large percentage of young consumers, with 36 percent of the population falling into the young adult age group, the report e-commerce, in addition to other Internet economy based companies are set to grow in the country. It is currently a relatively small e-commerce sales market, with just US$8.3 billion worth of sales projected in 2019, ranking it eighth regionally in the E-commerce Index behind Indonesia, the largest market in Southeast Asia. Although starting from a lower base, the country is projected to have showcased the largest growth in the region. Fitch Solutions’ forecast over the period of 2018-2022 puts the growth rate at over 20 percent, a growth trajectory that will see e-commerce sales in Malaysia rise to a projected US$12.9 billion in 2022, the report added. Such potential in the region has already caught the attention of investors and funders, chiefly Chinese investors in the region. Alibaba, the Chinese e-commerce giant has already begun investing across the major regions within ASEAN to gain a strong foothold in the growing e-commerce scene. Within Southeast Asia, Alibaba Group Holding Ltd has already invested extensively in the e-commerce giant Lazada which has not only focused on Indonesia, but today has extended its operations in the Philippines, Thailand and Vietnam. Alibaba is setting up a 'Digital Free Trade Zone' in the country in February 2018. The initiative is designed to make cross-region shipments more affordable for Malaysian small- and medium-sized companies – the majority of businesses in the country. Its local competitor in China, JD.com, ( a company which recently raised $550 million from Google has also begun investing in the region with companies like Pomelo Fashion and Go-Jek falling into their roster. Amazon too has begun taking an active interest in the region but owing to its relative inexperience in the region as a major player, chose Singapore as a way to enter the ASEAN markets. Introducing its Prime delivery service in 2017, the company has also entered offline sale of items to increase its presence in the region. Such a rise in interest globally has spurred the creation of e-commerce startups which are today aiming to expand across Southeast Asia. With such a development, it’s imperative that its impact on job creation (and the ones it makes obsolete) are looked at closely. This would be the aim of the second part of this new series.